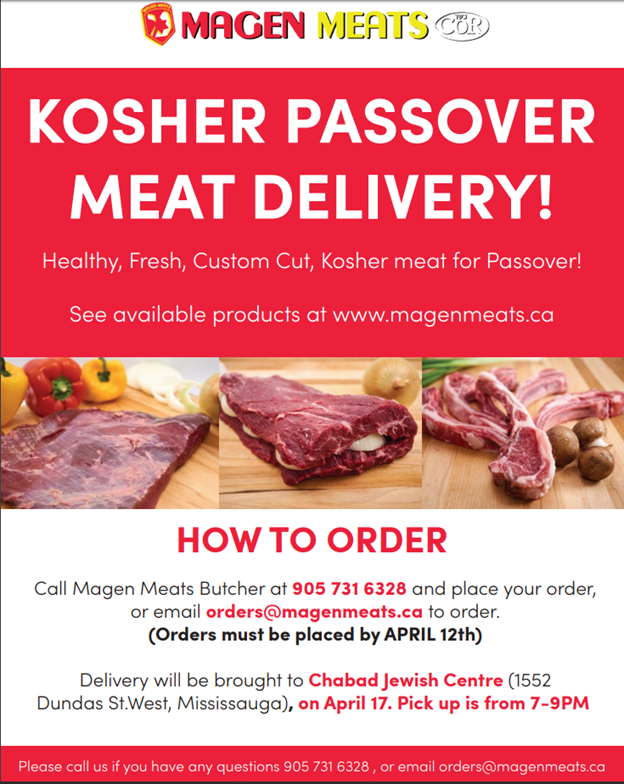 KOSHER FOR PASSOVER MEAT AVAILABLE FOR PICK UP IN MISSISSAUGA! Pick up your fresh meat at the Chabad centre 1552 Dundas Street West on Wednesday evening, April 17th. All orders must be in by April 12th.